Every year, Republican lawmakers gather at Tom Ready’s Steak Fry fundraiser. 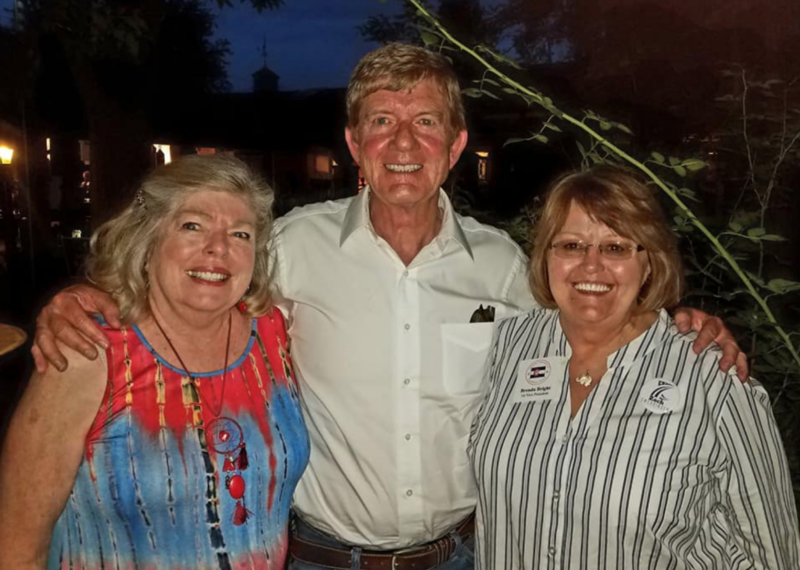 Ready is an unapologetic racist and anti-government conspiracy theorist whose annual backyard BBQ nevertheless continues to draw GOP candidates and elected officials of all levels, including Congressman Scott Tipton. Ready’s history of overt racism, homophobia and Islamophobia has been well-documented by the Colorado Times Recorder in the past. The post on the left is from a couple years ago. 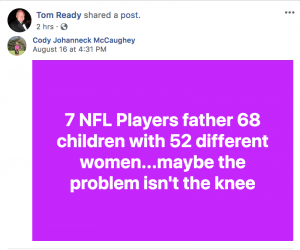 He continues to do so today, with posts like this one about NFL players. Confirmed attendees at this year’s event include Congressman Scott Tipton, State Sens. Larry Crowder (R-Alamosa) and Bob Gardner (R-Colorado Springs), HD46 Jonathan Ambler, HD47 candidate Don Bendell, HD62 candidate Scott Honeycutt, Pueblo County Commissioner District 3 candidate Zach Swearingen, University of Colorado Regent Glen Gallegos, and Marla Spinuzzi Reichert, chair of the Pueblo County Republicans. Proceeds from the event go to Ready’s Let’s Win PAC, which supports Republican candidates. This year’s donors include Sen. Larry Crowder (R – Alamosa) , Senator Bob Gardner (R – Colorado Springs) (from his campaign fund), CU Regent Glen Gallegos (also from his campagin) former Rep. Clarice Ratzlaff and her husband Jace, and Tammy Klein of SWS Polifi, which handles campaign finance compliance for numerous Republicans including Senate President Kevin Grantham andWalker Stapleton’s running mate Rep. Lang Sias (R – Arvada). Thanks to these donations and others. Tom Ready’s PAC has nearly $10,000 to spend. No campaign contributions from the PAC have been reported since the Steak Fry, but some will presumably be made between now and the November election. Politicians are accountable for their donors; it remains to be seen who accepts his money. Ready is best known as a former candidate himself. His 2014 run for county commissioner was derailed by his support —during a debate— of one of the worst conspiracy theories of modern day: that the murder of twenty children at the Sandy Hook school shooting was faked by the United States government. 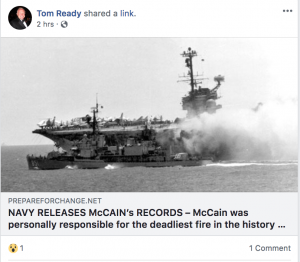 Here’s what Tom Ready posted to Facebook on Sunday: a link to a fake news report claiming that Senator McCain “was “‘rat’ or ‘stoolie’ telling on other U.S. officers being held captive at the Hanoi Hilton prison…he disgraced the military” that “Donald Trump was and is CORRECT [about McCain]” and that McCain “was personally responsible for the deadliest fire in the history of the US Navy.” This fabricated story was debunked by Snopes over a year ago. It’s the worst of numerous false attacks on Senator McCain, several of which have been shared by Tom Ready. 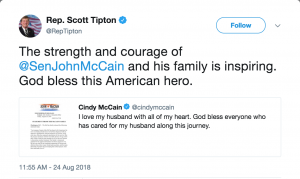 The sentiments about Senator McCain shared by Congressman Tipton and Tom Ready couldn’t be more opposed. The Congressman clearly isn’t opposed to supporting Mr. Ready’s fundraiser, however. 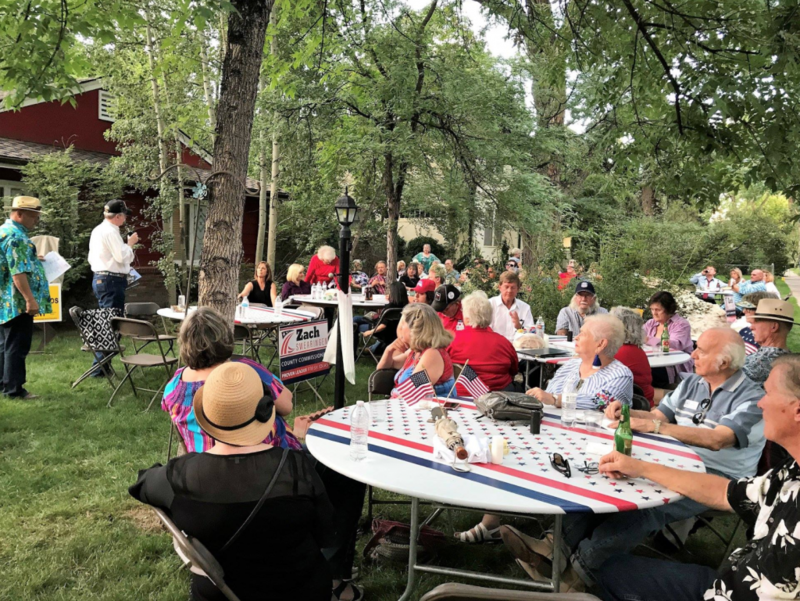 Charles Buchanan of the Colorado Times Recorder writes "It also appears that about 75% of the money raised at the Steak Fry goes to cover expenses, making it even more puzzling that Colorado Secretary of State and purported moderate Wayne Williams and Congressman Scott Tipton would risk their reputations to attend." Why would anyone donate to a fund that uses 75% for overhead? Ready is indeed “gross”…and a violent criminal with a history of abusing women, although that didn’t stop the Pueblo GOP from electing him as Chair for 10 years and sending him to the National Convention in 2009. I was the first to report on Ready’s Newtown “hoax” post. Even today, the Pueblo GOP stands by their man. One theoretically-evangelical-loving POTUS has fathered five children (that we know of) with three women. 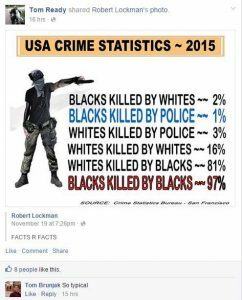 Maybe the problem is the #WhiteProsperityJesus bible?